STUDIO CITY: Maybe you don't spend enough time in Studio City or in gastropubs. The redo of the former Sapphire on Ventura in Studio City is nearly done. 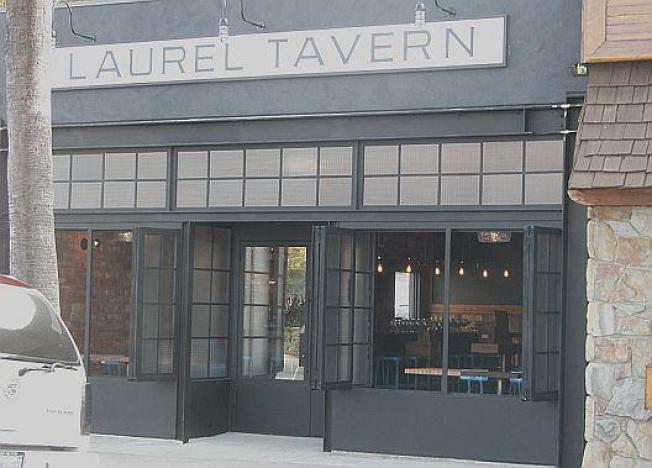 Meet Laurel Tavern. A mole reports: "Nice open space with windows that open to the street. Communal table in the center with bar stools." Bottoms up. HOLLYWOOD: News from the W Hotel and Residences: There's a French brasserie planned for the new W Hotel and it'll be a 6,000-square-foot indoor and outdoor restaurant "will evoke the atmosphere of a brasserie in the South of France, blending vibrant colors, classic archways, and an open-air feel, inspired by the Cote de Azur." Will it be authentic and will it be a tourist trap? BEVERLY HILLS: TV tracking: This week's episode of "Entourage" features those giant (can you see pores?) Martin Schoeller pictures of celebrities. This week it was Clooney, but you can also see non-celebrities Hiedi Montag and Spencer Pratt. How uncomfortable.